Christopher M. Stoltz is a shareholder with the firm. 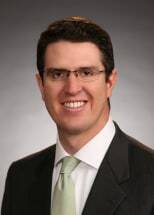 He grew up in Midland, received his law degree from Texas Tech University in 2005 and began practicing oil and gas law in Fort Worth. In 2010, Christopher became Board Certified in Oil, Gas and Mineral Law by the Texas Board of Legal Specialization. He joined the firm in February 2016 and maintains an oil and gas transactional and title examination practice. Christopher assists clients in the title matters, drafting and negotiation of purchase and sale agreements, joint operating agreements, salt water disposal agreements, easements, rights-of-way, surface use agreements and other oil and gas related transactions.